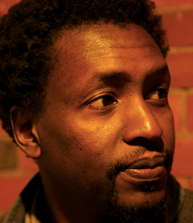 Mukoma Wa Ngugi, co-founder, is an Assistant Professor of English at Cornell University and the author of Black Star Nairobi (Melville, 2013) and Nairobi Heat (Penguin, SA 2009, Melville House Publishing, 2011), and an anthology of poetry titled Hurling Words at Consciousness (AWP, 2006). He is a columnist for This is Africa. 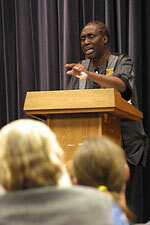 Mukoma holds a PhD in English from the University of Wisconsin, Madison, an MA in Creative Writing from Boston University and a BA in English and Political Science from Albright College. In 2013, New African magazine named him one of the 100 most Influential Africans. The German translation of Nairobi Heat was named the 2014 Crime Book of the Season by Buchkultur. In 2009, he was shortlisted for the Caine Prize for African Writing and in 2010 for the Penguin Prize for African Writing for his novel manuscript, The First and Second Books of Transition. A new novel titled Mrs. Shaw is forthcoming from Ohio U/Swallow Press and Hunting Words with my Father (poems) from the Africa Poetry Fund in 2016. A German translation of Black Star Nairobi is forthcoming in 2015. Lizzy Attree, co-founder, has a PhD from SOAS, University of London, on “The Literary Responses to HIV and AIDS from South Africa and Zimbabwe from 1990-2005”. 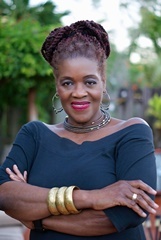 Her collection of interviews with the first African writers to write about HIV and AIDS from Zimbabwe and South Africa was published in 2010 by Cambridge Scholars Publishing, and is entitled Blood on the Page. In 2010 she was Visiting Lecturer in the English Department at Rhodes University in South Africa. 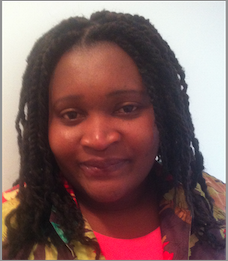 She taught African literature at Kings College London in 2015 as a temporary Lecturer and will teach World Literature at Richmond, the American International University in London in the Fall. She was the Director of the Caine Prize from 2014-2018 and is a director on the board at Short Story Day Africa. 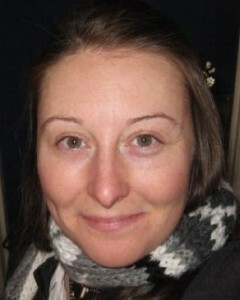 She sits on the Writivism Board of Trustees and has acted as a judge for Re-Imaged Folktales online. She is the Producer of ‘Thinking Outside the Penalty Box’ (an African Footballers project funded be Arts Council England) and a freelance writer, reviewer and critic. Abdilatif Abdalla is best known for his poetry volume ‘Sauti ya Dhiki’ (Voice of Agony, published in 1973), written in prison in Kenya between 1969-1972. 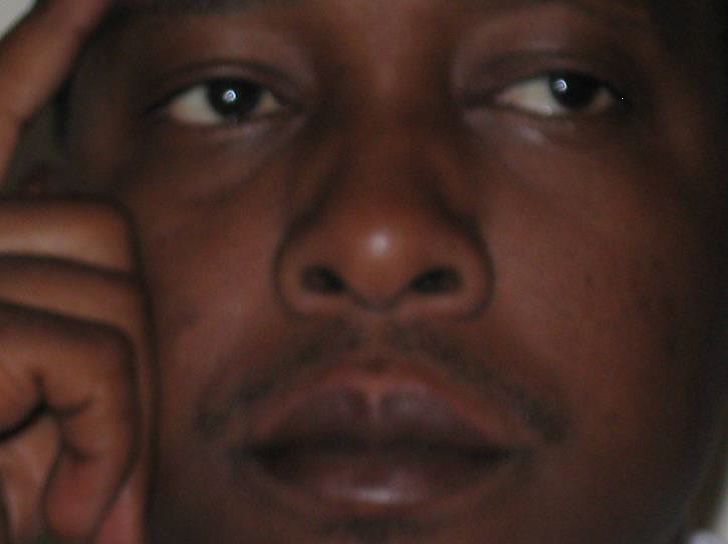 He had been imprisoned for authoring the critical pamphlet ‘Kenya: Twendapi?’ (Kenya: where are we going? 1968), condemning the dictatorial features of Jomo Kenyatta’s KANU rule. 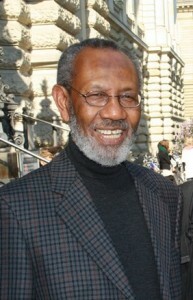 Abdalla has also been involved in a multitude of translation and editing projects, between postcolonial novels (Ayi Kwei Armah), Qur’an translations, historic Swahili poetry, and critical academic works, next to being a driving-force in the shaping of a democratic opposition to the Moi-regime from exile in London (with Ngugi et al.) through the 1980s and 1990s. Walter Bgoya, 1972 to 1990 Walter Bgoya directed the Tanzania Publishing House (TPH), which promoted Dar es Salaam as a progressive centre for intellectuals internationally. The TPH publications included Walter Rodney’s “How Europe Underdeveloped Africa”,Agostinho Neto’s “Sacred Hope”,Samora Machel’s “Establishing People’s Power to Serve the Masses,” and Issa Shivji’s “Class Struggle in Tanzania”. In 1991 Bgoya founded Mkuki na Nyota, an independent book publishing company based in Dar es Salaam. Bgoya said, in response to the general absence of independent scholarly publishing in Tanzania: “We are proud to publish relevant, beautiful, and affordable books, and place them in the hands of passionate readers in Tanzania and around the world.” Mkuki na Nyota books, children’s books, trade books and educational books, in both English and Kiswahili. This publisher actively translates literature into Kiswahili, including books like The Little Prince from the original French. Bgoya is a founding member of the African Books Collective, a collective owned and governed by African publishers. Mkuki na Nyota also works with NGOs to promote reading and education in Tanzania. Bgoya is a also a founding member of the African Publishers Network and was the Chairperson of the jury for the prestigious NOMA Award for Publishing in Africa. Walter Bgoya has delivered numerous papers on the themes of reading, writing, publishing and the quest for an authentic African voice in the literary world. Happiness Bulugu is a Swahili instructor at Cornell University. She was a recipient of a Fulbright Foreign Language Teaching Assistantship and a Graduate Teaching Fellowship at the University of Oregon. Happiness holds an M.A. degree from the University of Oregon in Language Teaching Specialization, and a B.A with Education from the University of Dar es Salaam, Tanzania. She is an active member of the African Language Teachers Association, and the Global Association for the Promotion of Swahili (CHAUKIDU). From Tanzania, she teaches not only the Kiswahili language, but also introduces her students to Swahili literature, customs and culture. Happiness also teaches and orients students about Swahili traditions and customs to students who go to Tanzania through Global Service, Global Health, Tanzania Summer Program at Cornell University. Chege Githiora is a Senior Lecturer in Swahili in the department of the languages and cultures of Africa, at the School of Oriental and African Studies (SOAS), University of London. He was born and raised in Kenya, then studied in Mexico and USA where he also taught Swahili language and literature at El Colegio de Mexico, Boston University, and Michigan State University from where he graduated with a PhD in Linguistics, in 1999. He writes and translates from and into Gĩkũyũ, English, Swahili and Spanish. His research Interests and publications are in the areas of multilingualism, variation in language, urban youth codes, Spanish language and Afro-Latin American culture and society, lexicography and translation. He also teaches and researches on the structure of Bantu Languages with focus on Gĩkũyũ and Kiswahili. Abdulrazak Gurnah was born in Zanzibar, lectures at the University of Kent and is best-known as a novelist. His fourth novel Paradise was short-listed for the Booker Prize in 1994. His latest novel is Desertion. His main academic interest is in postcolonial writing and in discourses associated with colonialism, especially as they relate to Africa, the Caribbean and India. He has edited two volumes of Essays on African Writing, has published articles on a number of contemporary postcolonial writers, including Soyinka, Naipaul and Rushdie. He has recently edited A Companion to Salman Rushdie (Cambridge University Press 2007). 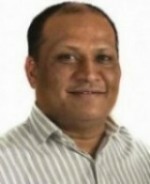 He served as a judge in 2002 and was the chair of judges in 2003. Sarit Shah Born and schooled in Kenya, qualified in the UK and USA, Sarit is a British Citizen residing permanently in South Africa to manage the Safal Group’s widely spread business interests. Sarit has extensive experience in business leadership and development, and is currently fully occupied in managing his wide business role within the Safal Group, a market leader in the Roofing & Steel Industry in most countries in Eastern and Southern Africa, and India. After graduating with a BSc (Hons) in Electrical and Electronic Engineering from Manchester University in 1988, Sarit gained brief work experience in the UK before embarking on a full time MBA through the University of Rochester, New York, USA. 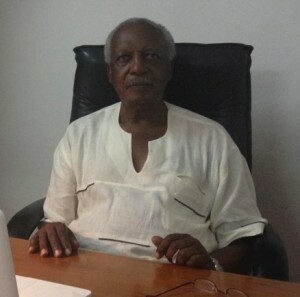 On completion in 1991 he moved to Uganda to start a business importing and stocking to sell building products. This ultimately led to his relocation to South Africa in 1996, and the commencement of his journey at the Safal Group in various leadership roles as below. Ngugi wa Thiong’o teaches in the Departments of Comparative Literature and English at the University of California, Irvine. Born in Kenya, into a large peasant family, he was educated at Kamandura, Manguu and Kinyogori primary schools and Alliance High School, all in Kenya; Makerere University College (then a campus of London University), Kampala, Uganda; and the University of Leeds, Britain. He is recipient of seven Honorary Doctorates. A many-sided intellectual, he is novelist, essayist, playwright, journalist, editor, academic and social activist. Ngũgĩ burst onto the literary scene in East Africa with the performance of his first major play, The Black Hermit, at the National Theatre in Kampala. He is the author of Petals of Blood, Decolonising the Mind, and other books. He is the recipient of the Lotus Prize for Literature and Nonino International Prize for Literature; he was nominated for the prestigious Man Booker International Prize. In 2012, he was awarded a National Book Critics Circle Award for In the House of the Interpreter, as well as the 2014 Nicolás Guillén Lifetime Achievement Award for Philosophical Literature. In 2010 and 2014, he was a finalist for the Nobel Prize for Literature. Additional trustees will be announced.